4aBetterBusiness and partner implement a digital transformation - from all paper to all electronic information in all production operations - from concept to delivery in 3 weeks. A Phase II implementation to fully integrate with the company's MRP system saved 6 months from the vendor's typical implementation time, and on cut-over all production and test areas fully processed transactions within 4 hours. 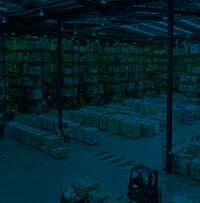 On-time delivery was increased from 50% to 96%+ while reducing inventory by 22%.